One item in most kitchens that might not get much respect is hidden in your freezer. This is the lowly ice cube tray that may or may not be filled with ice. Many freezers used with refrigerators today will freeze ice automatically. However, anyone with a supply of ice cube trays might not know about the many uses for these basic containers. If you are replacing an old or outdated refrigerator with a new model, then make sure that you save the ice cube trays. These can be used for many projects around your kitchen. You can easily freeze any liquids like lemonade or flavored water to make a simple popsicle. Ice cube trays are easy to stack and can be a terrific option for storing various types of food. Dry food along with liquids can be kept in basic ice cube trays. You can even use these trays as a good way to keep organized or to portion certain types of foods. If you are planning a party, then one idea is to make a sampler platter. Instead of using a plate or dish for the food an ice cube tray can be used. Regular ice cube trays also are a great option to keep candies for a special occasion. You can prepare a homemade candy or portion candies that are purchased at the store. The options you have for using the trays for ice in your freezer are almost limitless. These are also a great way to keep small items like any bolts or screws organized. 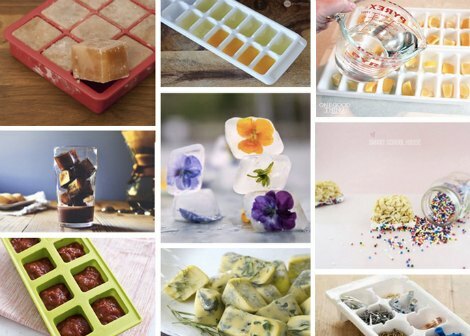 If you do not have any ice cube trays available, then there are many places they can be found. You will not need to buy them new from a store that sells kitchen supplies.